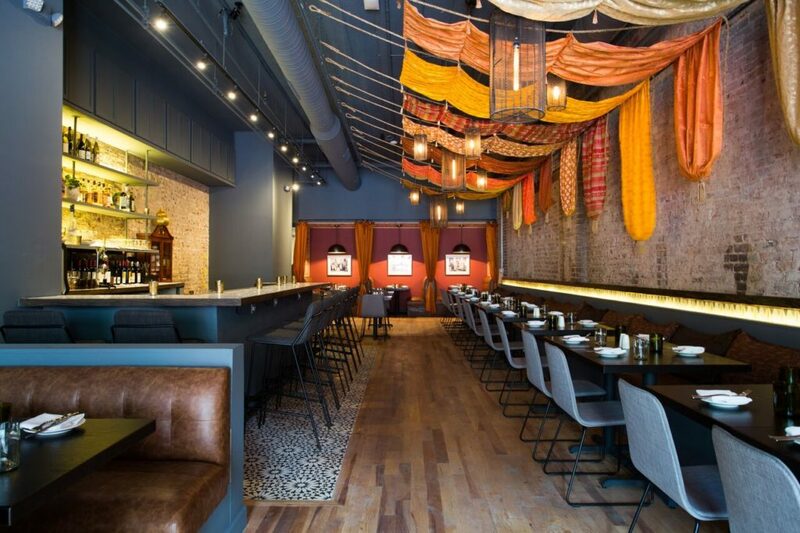 PoPville » PAPPE, “Authentic Indian Restaurant”, Soft Opens – Peek Inside and Get 15% Off Today-June 10th! PAPPE, “Authentic Indian Restaurant”, Soft Opens – Peek Inside and Get 15% Off Today-June 10th! “Co-owners and close friends Vipul Kapila, Chef Sanjay Mandhaiya and Chef Shankar Puthran announce the soft opening of Pappe (pronounced pah-pay), an Indian neighborhood restaurant, at 1317 14th Street, NW in Washington, DC. As part of the soft opening week, all guests will receive a 15% discount as the staff and team work on perfecting food and service. This special discount will be available during soft opening from June 4 to June 10. Pappe’s menu, overseen by Chef Sanjay and Chef Shankar, is mostly Northern Indian in flavor with some items from the South. Offerings include familiar appetizers such as Samosas prepared traditionally with potatoes and served with tamarind and cilantro-mint chutneys, Crab Pav – a Goan style crab cake and Vegetable Uttapam a dosa-like dish served with sambar, coconut and garlic chutney. Entrees feature standards like Chicken Tikka Masala, alongside Junglee Laal Maas – bone-in goat with garlic tomato chutney and red curry and Allepey Fish Curry – Chilean seabass with coconut, curry leaves and green chilies. 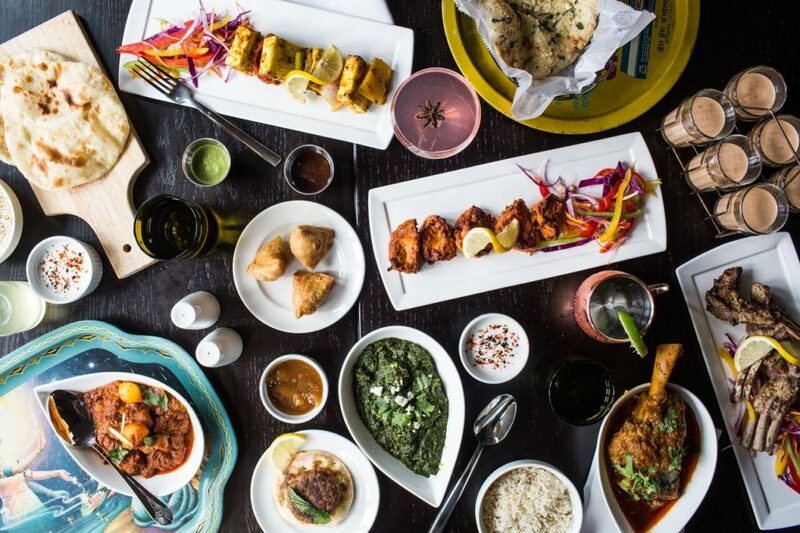 Vegetable entrees come in full-size as well as half-size/side portions and include Palak Paneer – spinach, garlic and paneer, Vegetable Korma – seasonal vegetables in Korma sauce, and Chana Pindi – slow-cooked chickpeas in roasted spices. A cocktail menu inspired by Indian flavors and non-alcoholic drinks round out the beverage offerings. Soft drink options include fresh lime soda with Himalayan salt, Masala Chai and Mango Lassis. Signature cocktails feature the Cardamom Gimlet made with cardamom-infused simple syrup and the Southern Somras with rum, Amaro, allspice dram, tamarind and curry leaves. The three co-owners and friends met at Sanjay and Shankar’s Falls Church restaurant, Saffron, where Vipul, a first-time restaurateur found the authentic and fiery version of Lamb Vindaloo he had been seeking in the area. Chef Sanjay recently staged at two of India’s most highly lauded kitchens – Moti Mahal, where the famous dish Butter Chicken was first invented, and Kwality, which is best known for its Chana Pindi and Taar Gosht – all three dishes, along with Sanjay’s signature Lamb Vindaloo are on Pappe’s menu. Designed by a close architect friend of the partners, Melissa Funkey, Pappe’s dining room is a nod to New Delhi’s vibrant fabric markets. The team searched for and sourced antique accessories from markets in Old and New Delhi, and colorful Indian-inspired silk textiles hang from the ceiling. The warm grey walls of the bar area are adorned with hand-drawn murals by local artist John DeNapoli. 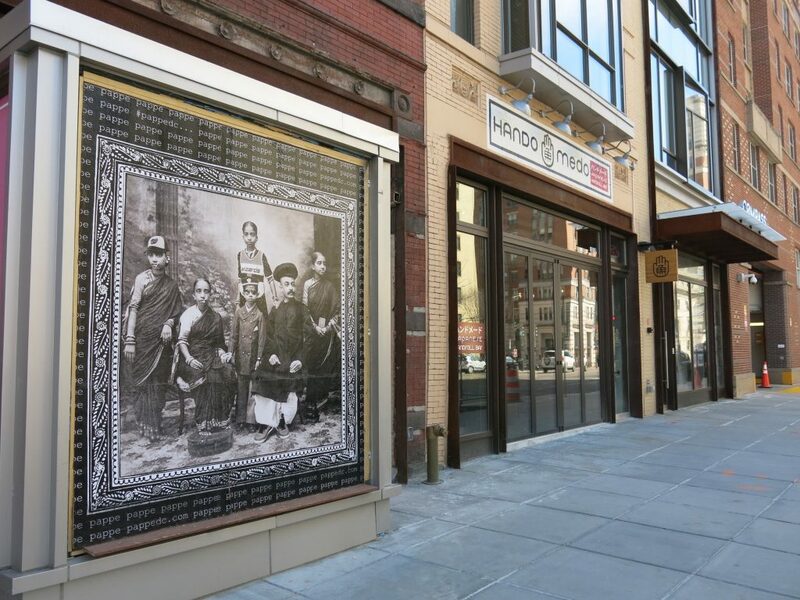 He is also responsible for the collage of an Indian family in D.C. sports gear that appeared on the window of Pappe during construction, and now has a home inside the dining room. Indian-inspired tilework, fabric, and lighting create the feel of a fabric market in India, as silk is draped above booths in the back of the restaurant, creating a regal dining experience reminiscent of Jaipur.